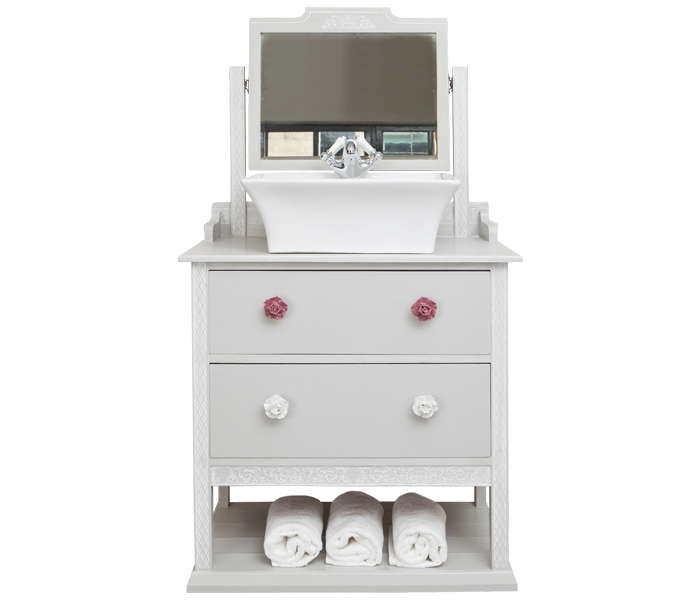 This cottage style vanity unit with a swivel mirror was created from an Edwardian dressing chest. 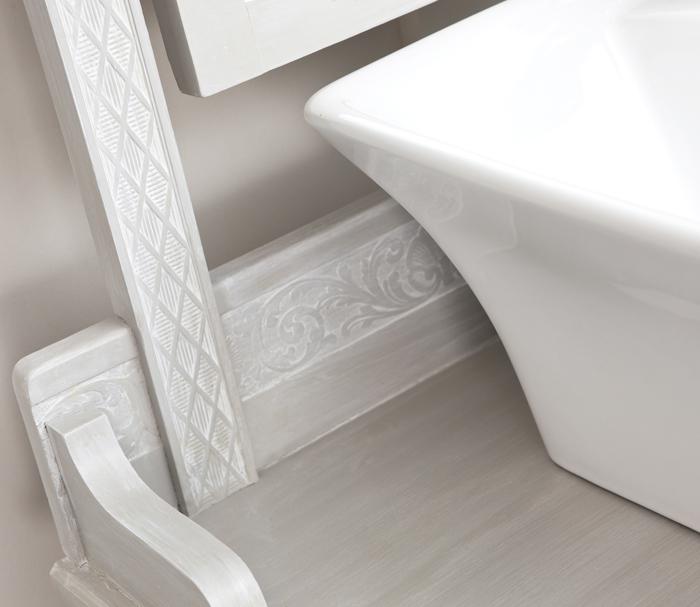 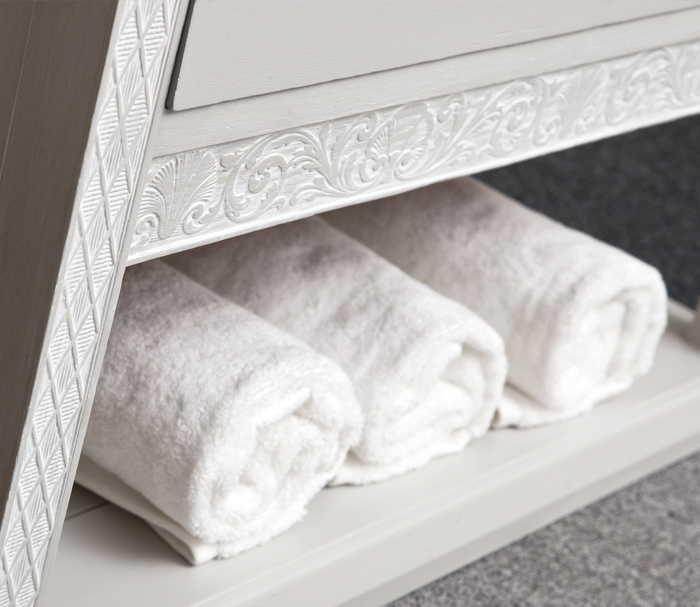 The base unit is painted in Seagull and washed with Winter White glaze to enhance the carving and finished with High Performance Satin Topcoat. 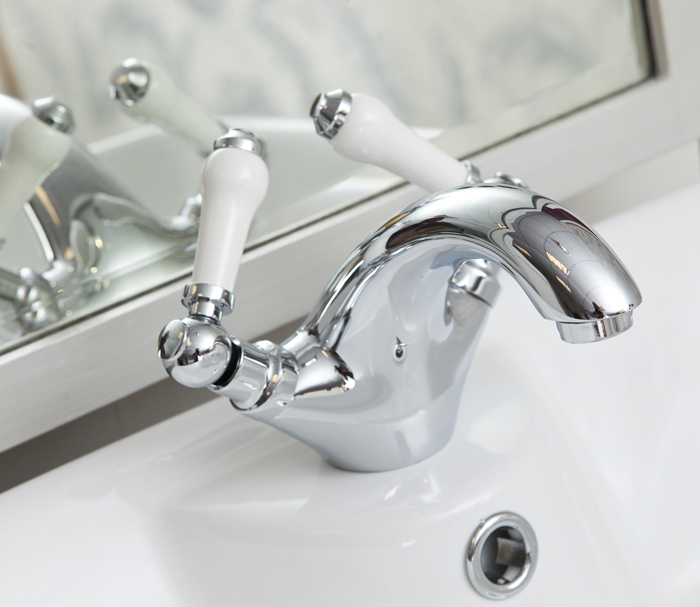 We are thrilled with the result - another successful GF paint job!